Five-bedroom Newberry Boulevard home built for an early MKE architect. Howland Russel was an early Milwaukee architect who worked around the turn of the century. This five-bedroom arts & crafts-style home was designed by and served as Mr. Russel's personal home. 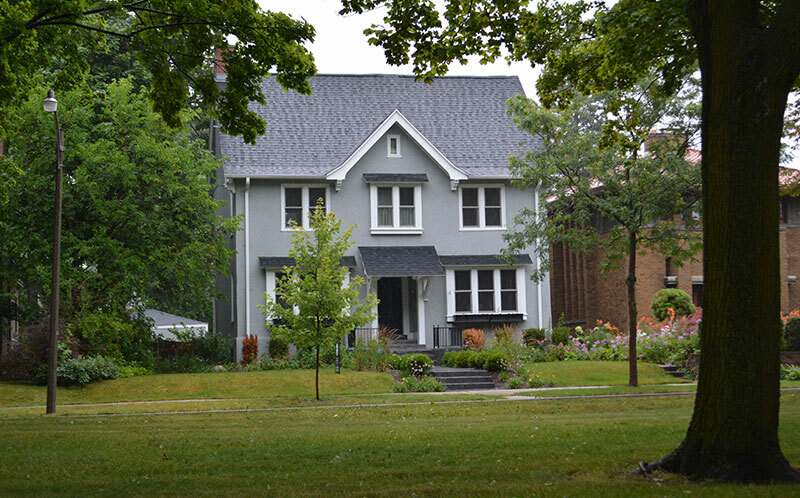 It was built in 1901 and was just listed this week by Ty Jakoblich of First Weber. The location is just west of Downer Avenue on Newberry. This is a fantastic location. We love Newberry and we would love to be just off Downer Avenue, especially in summer. It's a great spot. The home is pretty cool. It's had a recent head to toe renovation with some very interesting touches. We love the floors and ceilings - especially the exposed beams in the back room. There's a nice-sized kitchen with a cool diner-style eat-in area, there's a huge master closet and the third floor has a big, finished space. Very cool! Pictures and details via the link below.